1. 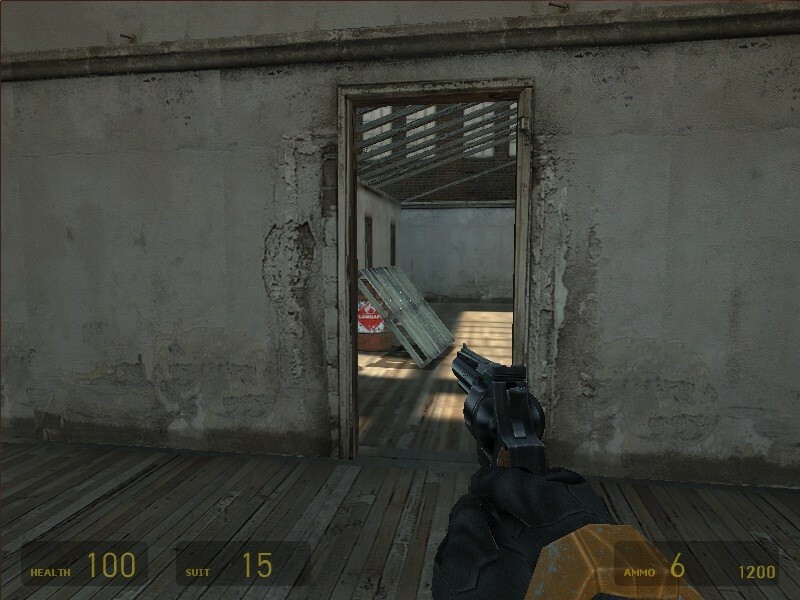 Go to your half-life 2/hl2/cfg 2. Go find the skill.cfg 3. Right click the files and click open with.. 4. In the other program, Find the Notepad and check the "Always use the selected program to open this kind of files" (I'm using the Win 7) 5. Once you've open the skill.cfg you will see this // =========== // NPCs // ============ // Barnacle sk_barnacle_health	"35" // Barney sk_barney_health	"35" // Bullseye sk_bullseye_health	"35" // Bullsquid //sk_bullsquid_health	"120" //sk_bullsquid_dmg_bite	"15" //sk_bullsquid_dmg_whip	"25" // Citizen sk_citizen_health	"40" // Combine Soldier sk_combine_s_health	"50" sk_combine_s_kick	"10" // Combine Guard sk_combine_guard_health	"70" sk_combine_guard_kick	"15" // strider sk_strider_health	"350" sk_strider_num_missiles1	"5" sk_strider_num_missiles2	"7" sk_strider_num_missiles3	"7" // Headcrab sk_headcrab_health	"10" sk_headcrab_melee_dmg	"5" // Fast Headcrab sk_headcrab_fast_health	"10" // Poison Headcrab sk_headcrab_poison_health	"35" // Houndeye //sk_houndeye_health	"80" //sk_houndeye_dmg_blast	"25" // Manhack sk_manhack_health	"25" sk_manhack_melee_dmg	"20" // Metropolice sk_metropolice_health	"40" sk_metropolice_stitch_reaction "1.0" sk_metropolice_stitch_tight_hitcount "2" sk_metropolice_stitch_at_hitcount "1" sk_metropolice_stitch_behind_hitcount "3" sk_metropolice_stitch_along_hitcount "2" // Rollermine sk_rollermine_shock	"10" sk_rollermine_stun_delay "3" sk_rollermine_vehicle_intercept "1" // Scanner (City) sk_scanner_health	"30" sk_scanner_dmg_dive	"25" // Stalker sk_stalker_health	"50" sk_stalker_melee_dmg	"5" // Vortigaunt sk_vortigaunt_health	"100" sk_vortigaunt_dmg_claw	"10" sk_vortigaunt_dmg_rake	"25" sk_vortigaunt_dmg_zap	"50" sk_vortigaunt_armor_charge "30" // Zombie sk_zombie_health	"50" sk_zombie_dmg_one_slash	"10" sk_zombie_dmg_both_slash	"25" // Poison Zombie sk_zombie_poison_health	"175" sk_zombie_poison_dmg_spit	"20" //Antlion sk_antlion_health	"30" sk_antlion_swipe_damage	"5" sk_antlion_jump_damage	"5" //Antlion Guard sk_antlionguard_health	"500" sk_antlionguard_dmg_charge	"20" sk_antlionguard_dmg_shove	"10" //Antlion Grub //sk_antliongrub_health	"5" //Ichthyosaur sk_ichthyosaur_health	"200" sk_ichthyosaur_melee_dmg	"8" // Combine Gunship sk_gunship_burst_size	"15" sk_gunship_health_increments	"5" sk_npc_dmg_gunship	"40" sk_npc_dmg_gunship_to_plr	"3" // Combine Helicopter sk_npc_dmg_helicopter	"6" sk_npc_dmg_helicopter_to_plr	"3" sk_helicopter_grenadedamage	"30" sk_helicopter_grenaderadius	"275" sk_helicopter_grenadeforce	"55000" // Combine Dropship sk_npc_dmg_dropship	"2" // Combine APC sk_apc_health	"750" Feel free to edit the numbers. 5. If you are done editing something. save it! 6. Open your Half-Life 2 and Done! If I were you, I'd try to go more in-depth about the lines in the skill.cfg I realized what they meant almost instantly, but it's not like everybody else possesses the same skill. > **Posted by GLaDOSPotatOS** > > **Posted by Devieus** > > > We're not Germans, you don't have to capitalize every word, also, try keeping to the list structures, this is the last time I'll edit it for you, next time I'll consider withholding it for improper formatting. > > > I know dude wait? I thought my tutorial has withheld? It was flagged, I trashed the flags since they weren't relevant anymore. > **Posted by Devieus** > We're not Germans, you don't have to capitalize every word, also, try keeping to the list structures, this is the last time I'll edit it for you, next time I'll consider withholding it for improper formatting. i know dude wait? i thought my tutorial has withheld? We're not Germans, you don't have to capitalize every word, also, try keeping to the list structures, this is the last time I'll edit it for you, next time I'll consider withholding it for improper formatting.